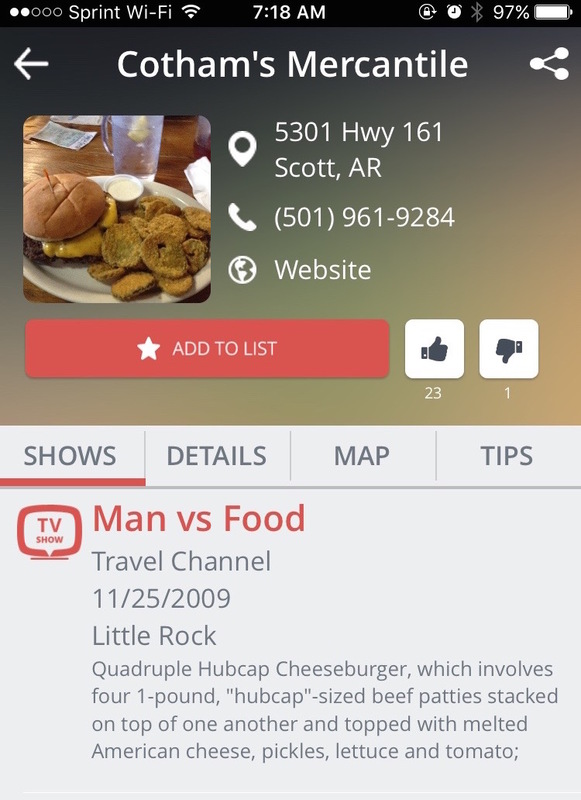 Have you ever wondered how you could find the restaurants that you hear about on TV shows like “Diners, Drive-Ins and Dives” or “Man vs. Food?” With the latest update to TVFoodMaps, it’s a cinch to locate these fantastic eateries, and you can even plan a road trip that includes visits to the famous restaurants. 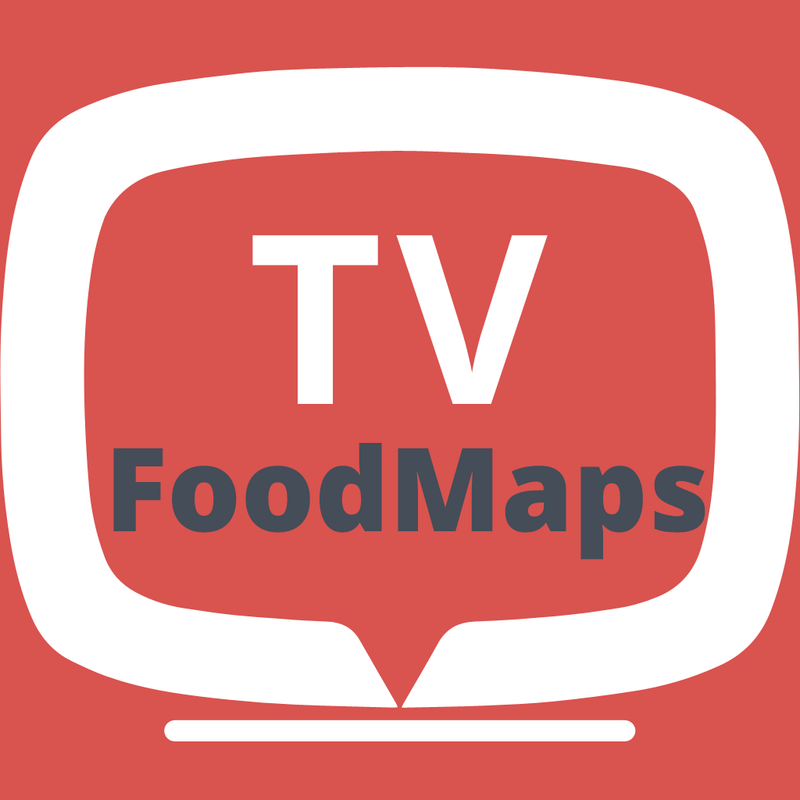 TVFoodMaps has been completely rewritten for the latest version, and the design is simple and gorgeous. You can easily search for the featured restaurants by location, name, or cuisine, and the app shows you a map with each establishment. 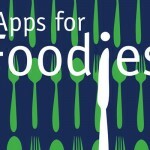 There are more than 5,000 restaurants included in the app’s database. Planning a road trip for your next vacation? 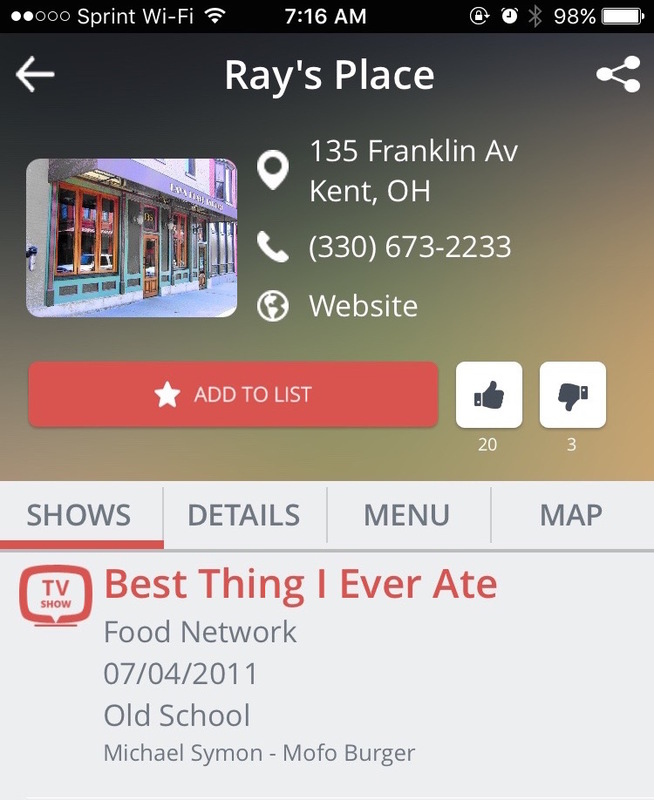 Let TVFoodMaps help you along the way by recommending great restaurants to try out. 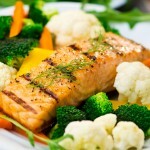 Foodies can quickly plot out their meals and eat at places the famous chefs and food connoisseurs from television have recommended. 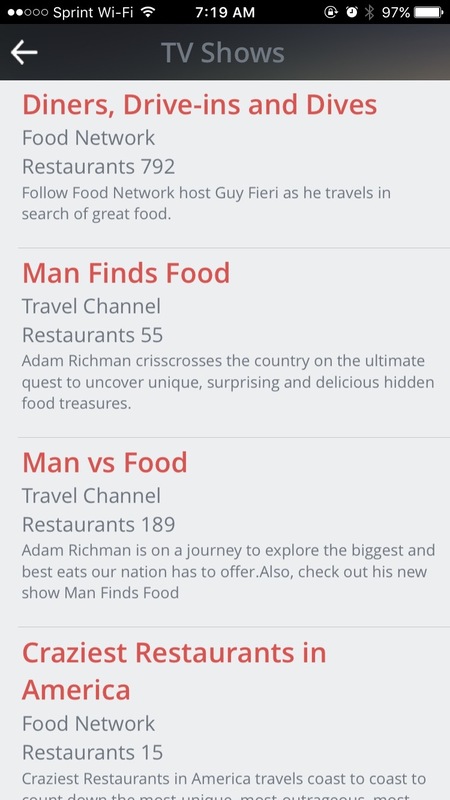 If you just want to browse what’s coming soon on your favorite food show, the TV Listings tab lets you get that information for more than 40 different programs. 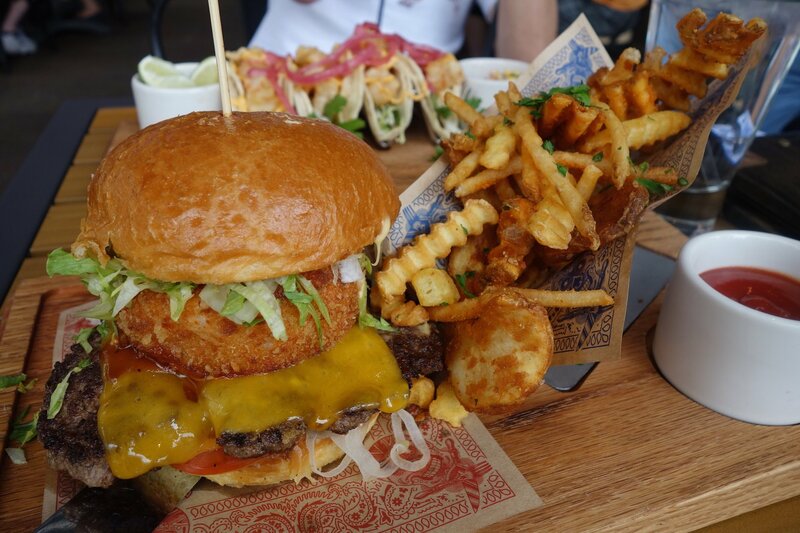 Once you find a restaurant you think you might want to try out, the listings page gives you address and phone number information, along with what shows the establishment has been on, the menu, and a map showing how to get there. 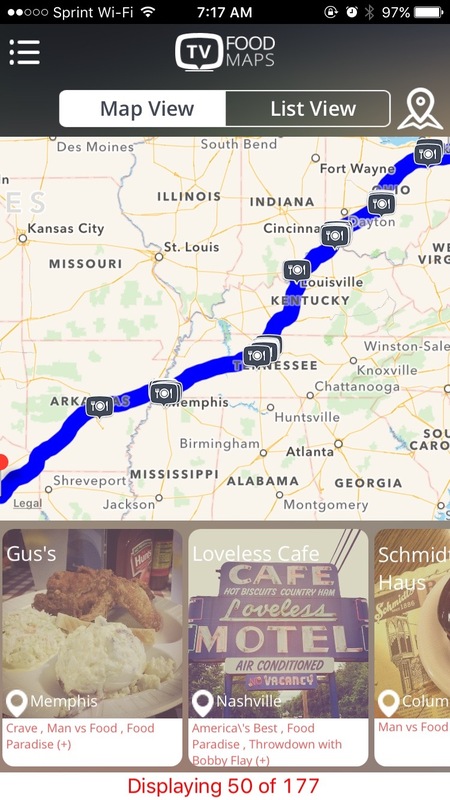 TVFoodMaps is a free download on the App Store, and is supported through the in-app purchase of the premium version. The premium version allows for all notifications, unlimited searches, and gets rid of the pop-up messages encouraging you to switch to the premium version. 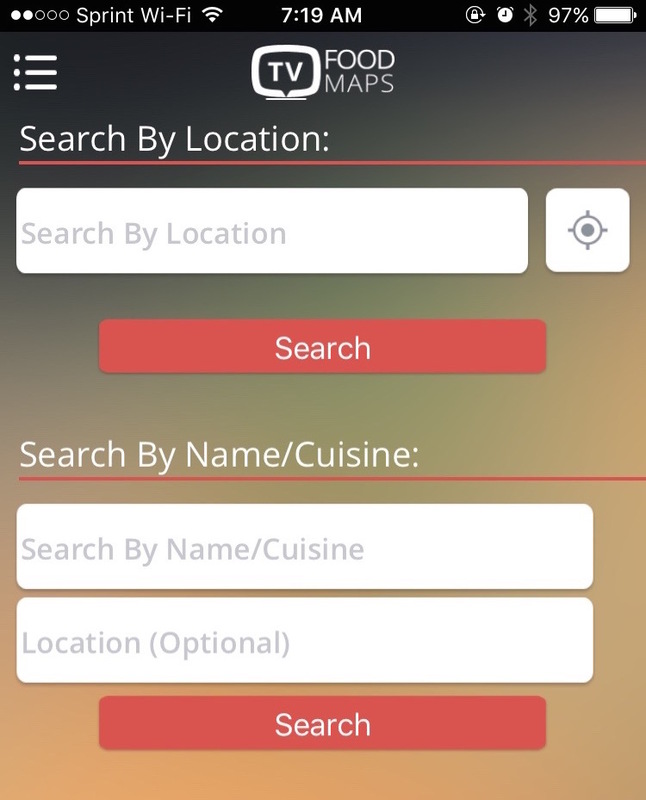 TVFoodMaps requires iOS 7 or later, and is compatible with iPhone, iPad, and iPod touch.